We recommend a minimum calibre of 6mm/25-06 for our lighter game such as Fallow & Chamois (& Stag up to 200 yards). 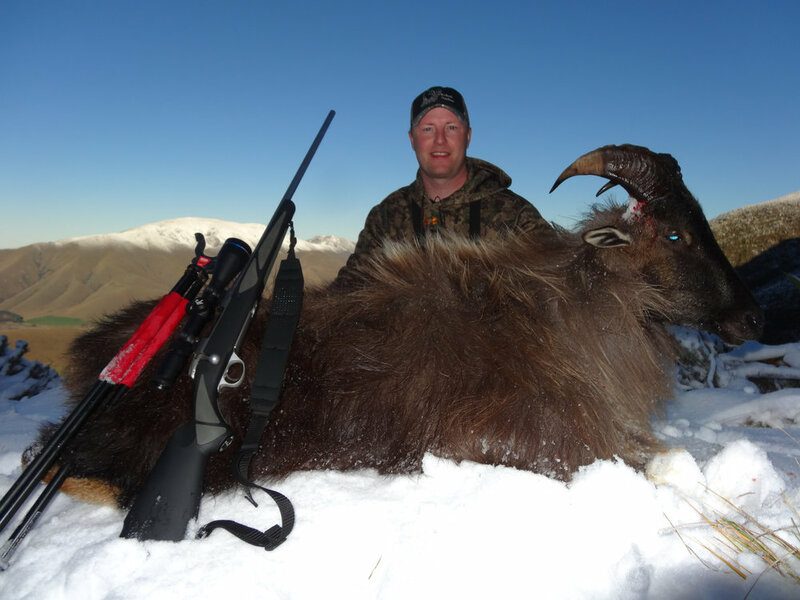 For Tahr hunting we prefer larger bores such as 7mm mag, 30-06 and the various .300 & .338 magnum cartridges. The most important is to shoot what you are most comfortable with, as correct shot placement with a premium bullet of any caliber is more important than the size of the bullet. Generally shot distance is 100 - 300 yards on most of our species. We always check rifles on our range the first morning of your hunt. Read here for more info on bringing your own rifle with you to New Zealand.